In order to keep pace with never ending demands of the customers, our company is instrumental in offering Pharma Packaging Pouches. Pharma Packaging Pouches are a growing market segment and with modern technological advancements, pharmaceutical packaging pouch is changing at a rapid pace. New drug delivery systems and chemical compounds need advanced packaging features to protect products from moisture, light, oxygen, and contaminants. Ampac has led the development of package solutions such as child-resistance, senior friendly packaging, autoclavable and foil and non-foil barrier structures. In Pharma Packaging Pouches there is always exclusive demand from all the clientele. Pharma Packaging Pouches are something that every medical company is looking for. Owing to the rich industrial experience and expertise in this business, we are involved in providing Food Packaging Pouches. Food Packaging Pouches are counted amongst the premium that is available. The product's high level of strength, commendable lifespan, and impeccable air locking ability make it one of the first choices for our customers. Further, the offered product is made available at a market leading rate. Owing to its outstanding quality, the offered assortment of products helps in preventing the leakage and also to keep the products fresh and free from bacteria and germs for long period of time. 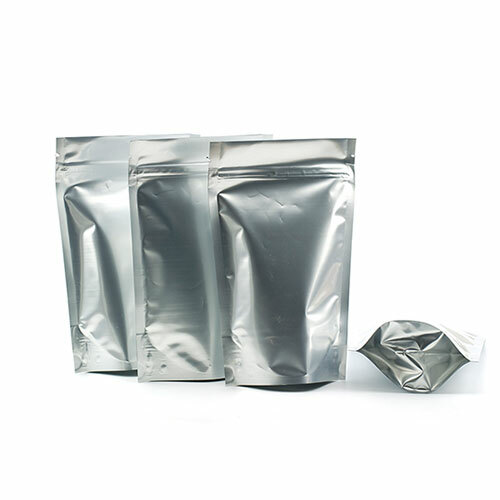 We are presenting an excellent quality assortment of Freeze Dried Packaging Pouches. 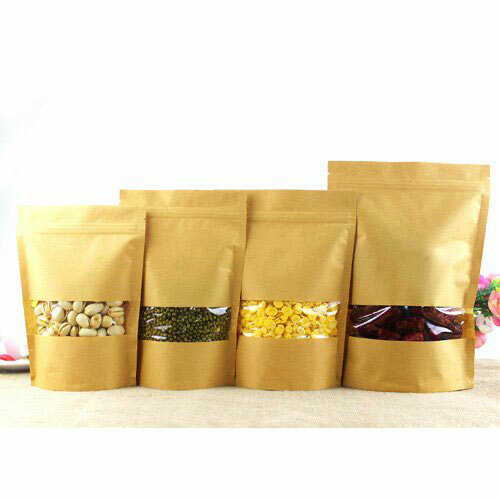 Freeze Dried Packaging Pouches are used in packing of dried items, such as meat, bananas, apples, almonds, corn etc. The Freeze Dried Packaging Pouches for keeping dried food and beverage items that keep its taste and aroma even after being dried. The packaging pouches keep the pulses fresh and free from contamination and spoilage. These pouches are tested on numerous parameters before being made available in the market. We are the most trusted name amongst the top most companies in this business, instrumental in offering a high-quality array of Dried Food Packaging Pouches. These Dried Food Packaging Pouches are designed by considering only finest quality components and progressive technology. Owing to their fine finish these products are highly demanded across the market. Moreover, customers can avail these products from us at pocket-friendly prices from us within the stipulated frame of time. 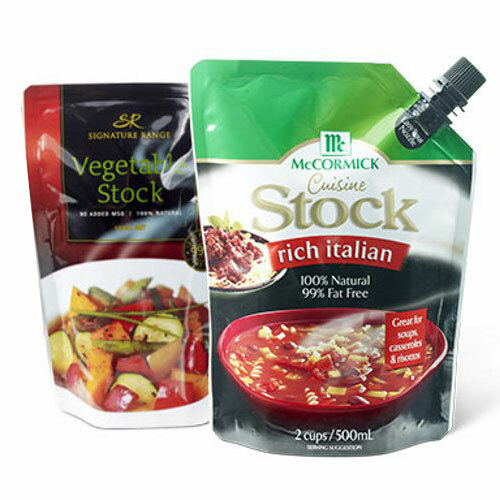 Matching up with the ever increasing requirements of the customers, we are engaged in providing Soup Packaging Pouches. Soup Packaging Pouches use less than five percent of the packaging material of cans and sterilize at lower temperatures and in less time â€“ improving food product quality, especially where color or texture is important. Soup Packaging Pouches can be customized to any application and can be provided as flat or stand up pouches, with or without reclose ability. 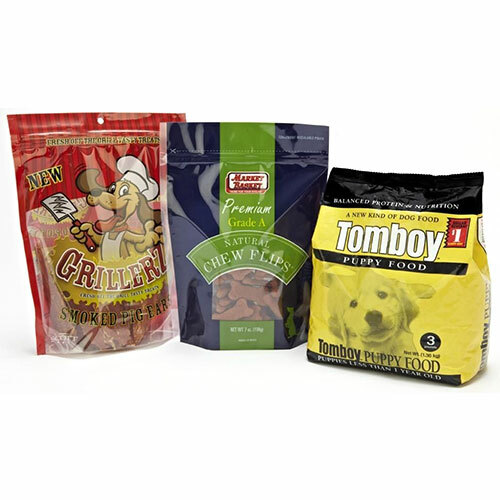 Enriched by our vast industrial experience in this business, we are involved in offering an enormous quality range of Pet Foods Packaging Pouches. These packaging pouches are designed by using fine quality material which is effective in carrying any kind of the product. Our company provides these packaging pouches in an excellent packing. These packaging pouches are available with us in wide ranges of sizes and at an exclusive price..
To meet the variegated demands of the clients, our company is instrumental in offering an excellent quality range of Chips Packaging Pouches. 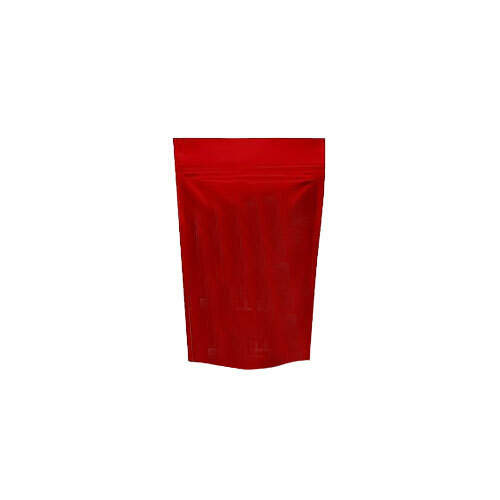 The provided pouch is perfect for packaging of chips in different quantities. Under the strict vigilance of skillful professionals, these Chips Packaging Pouches are designed as per the defined industry standards using the best quality material as well as contemporary machines. Keeping in mind the different needs of the patrons, this pouch is available in several designs and sizes. Moreover, this product is properly checked by quality controllers before delivering in the market. 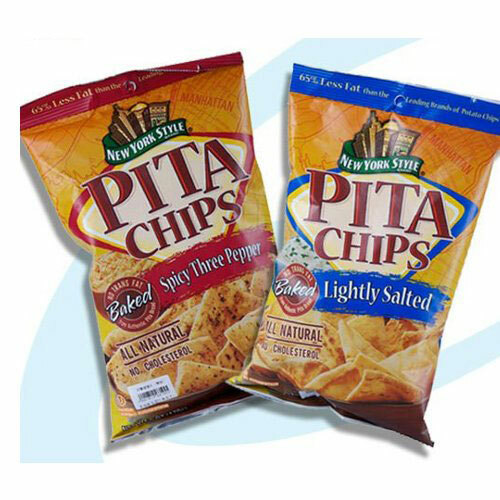 Made from high-grade materials, these chips packing pouch feature lightweight and display the packed items. As well, clientele can avail the whole assortment of products at pocket-friendly prices. We have been counted amongst the most trusted names in this domain, engaged in offering a standard quality range of Wafer Packaging Pouches. 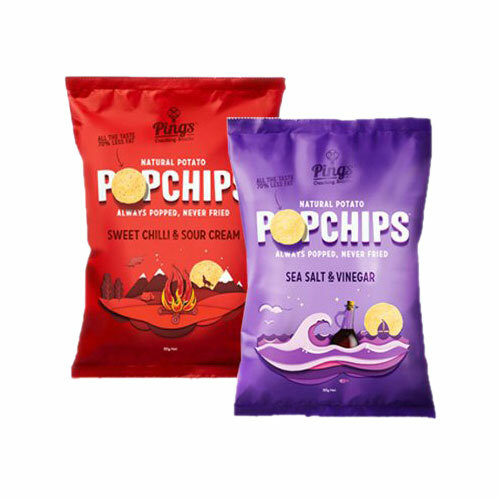 Airtight and moisture free packets not only preserve the flavor, freshness and quality of preservatives used in these snacks but also lend the products a visual appeal with snazzy print details. Our snack food packaging material is immensely used to pack all type of snacks like spicy snacks, cocktail snacks, pulse snacks, fried snacks, baked snacks, extruded snacks and many more. Clients can avail from us this range of Pouch for Wafer and Namkeen at most affordable prices. 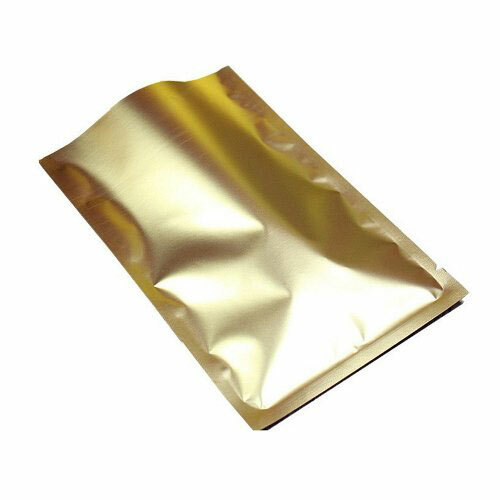 Aluminium Foil Bag With anti-static, anti electromagnetic interference and moisture proof three big functions, The surface of the aluminum foil bag resistance:108~1011Ω.Aluminum foil bag block superior performance. Aluminium Foil Bag in strict accordance with the-STD-2073-1.ASTMF1249-2005.GB/T 10004-1998.The mil-b-81705-c standard for production.